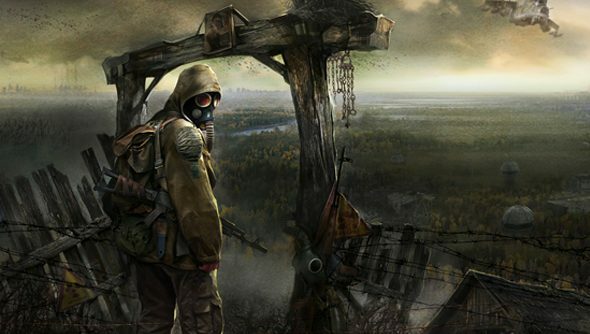 After STALKER developers GSC seemed to spontaneously combust in the tail end of last year, the future of the absolutely brilliantly atmospheric and strongly unique series has been up in the air. Right now, you’ve got some ex-GSC members making a game called Suvivarium, and then there’s Men of War creator’s Nuclear Union, which looks like it’s halfway there. And now there’s a rumour, spotted by Rock Paper Shotgun, that Bethesda have acquired the rights to the STALKER franchise, allowing them to tread once more into the Wasteland, although one without quite so much humour this time. The only thing is, it’s a rumour that Bethesda are choosing not to comment on. When we contacted them, they refused to offer anything in the way of confirmation or denial, which could mean they’re not ready to announce anything, or they don’t have anything to announce, and want to just make sure that they didn’t accidentally attain the rights in drunken Developer poker the other night and lose them down the communal Bethesda sofa. I guess we’ll just have to wait and see. Needless to say, we’ll update this post if we find out anything more.